Edwards 4-Inch DC vibrating bell has 100/90 DB at 1 m/10-ft loudness. It mounts directly on surface or electrical box and has self-compensating solenoid plunger. 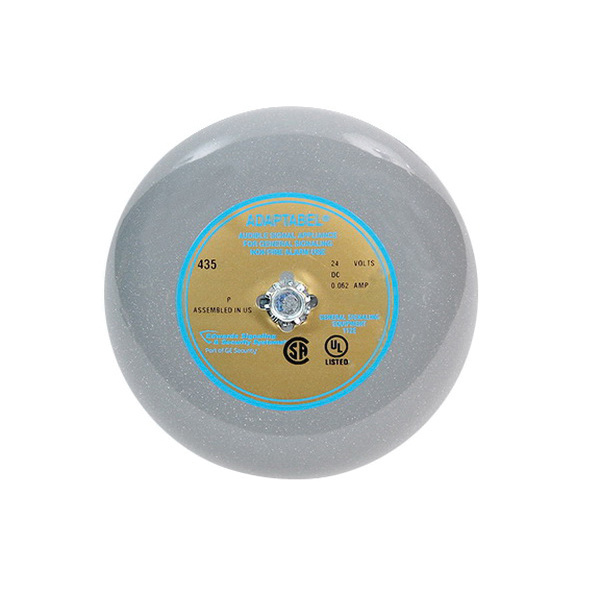 The round shaped vibrating bell measuring 4-1/2-Inch x 2-13/32-Inch, has die-cast housing with corrosion-resistant heat flowed epoxy finish for added durability. It has a voltage rating of 24-Volts DC, current rating of 0.062-Amp and power rating of 1.5 VA. DC vibrating bell is UL 464 listed.